Copenhagen’s rental bikes are surely made to make the tourist look like the idiot abroad. Heavy-framed, motorised things, the electric motor kicks in when you’re not quite expecting it, with a loud whir that makes you feel rather self-conscious as you whizz about the streets. So, we made quite an entrance at Manfreds og Vin. Our motors a-whirr, early diners at the pavement tables heard our approach long before the clatter of frame against cobblestones and cursing when I dropped the heavy thing in a clumsy dismount. Still, the dock was around the corner, so little sister and I disappeared and made a re-entrance on foot trying our darndest to exude the air of cool local Nørrebro types who dropped in for Manfreds’ fresh, informal plates, oh, just any breezy weekday evening in August. Eat food, not too much, mostly plants. It’s as if Manfreds has taken the journalist and author Michael Pollard’s much-quoted mantra into the kitchen and served it up on echt-Scandiwegian chic earthen tableware. Plates are small, vegetable-based, and for sharing. Family-style, Manfreds says, though they clearly never dined at my house, where sibling warfare broke out if portioning was anything but equitable. Wines are natural, and everything on the table is certified as 90-100% organic. You get the picture. 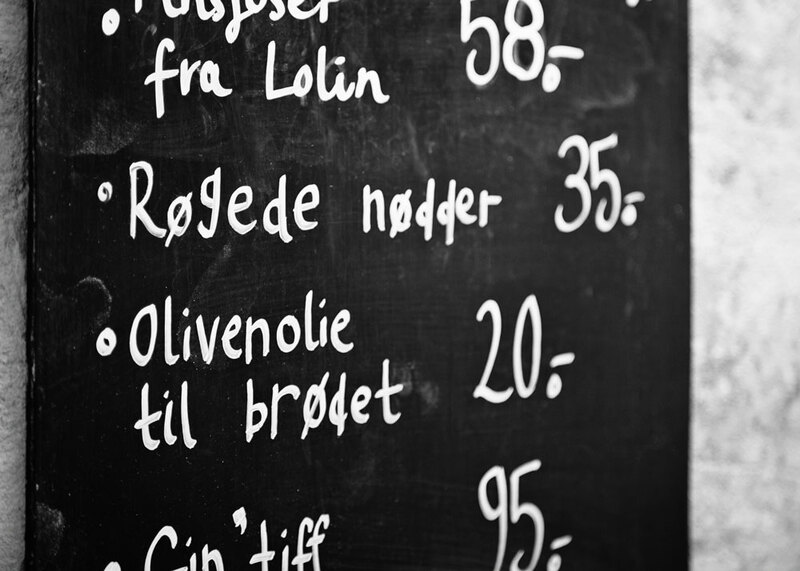 It’s the trendy leading edge of holistic, back-to-ingredients cooking in Nørrebro’s famous Jægersborggade, once a drug-haunt, now a cool hubbub of crafts folk, from latte artists to ceramicists. And it’s brilliant. 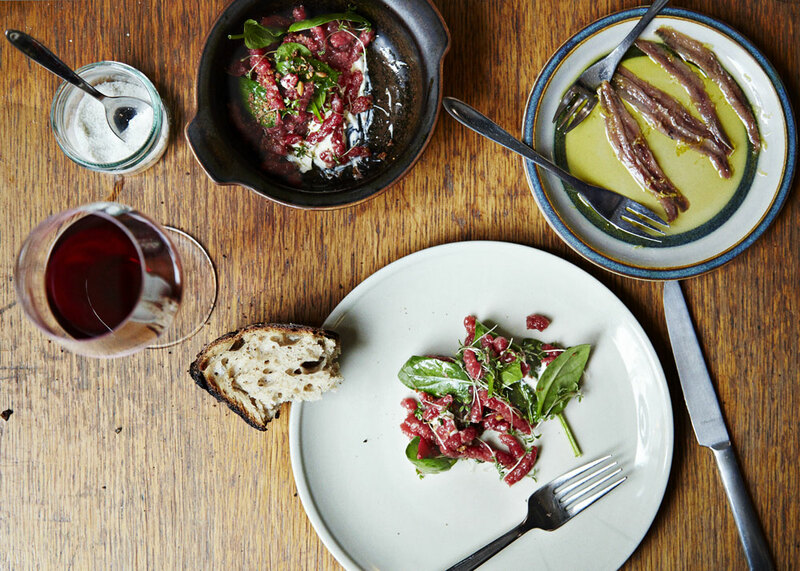 It’s a warm summer evening, so we’re seated at the bierkeller-style tables on the pavement with a fine view of Relae across the street – the posher, pared-back and Michelin-starred gaff from the same team. We take the chef’s choice: small dishes of what’s best right now, which come to the table as and when the kitchen has them ready. They’re a kind of simple poetry of delicious things Cleopatra might have used for her toilette: almond milk, cucumber, lovage, sorrel. But I digress. A dish of courgette, almond and basil with a scant sauce of almond milk sets the bar high. These are fresh flavours, cooked to taste of themselves, in happy marriages. Kohl rabi (raw), white currants and herb cream combine vegetable crunch with tart sweetness and lactic smoothness. It’s a nicely judged balance. Flesh puts in a rare appearance: salted trout, orange tomatoes, goats cheese and fennel. The fish isn’t actually the star, but the fabulous fresh goats cheese, gentle but with just enough farmyard tang. Poached lettuce with lovage and puffed buckweat in a fermented sauce is all soft green leaf with nutty, crunchy interruptions (welcome ones) from the buckwheat. Cucumber, sorrel and cress was a lone exception to the well-judged contrasts of other plates. Or perhaps it was an understated hymn to the mild that passed me by. But do I want mild from a chef? If I want a simple salad of finely sliced cucumber and herbs, I’ll do it at home. A barely poached egg with broccoli and that lovely nutty buckwheat again was a return to form. Did you know that a flowering crest is the perfect sponge for a rosy orange, runny yolk? Now you do, and it’s a delicious one too. No dessert: we felt we’d eaten the perfect amount and with our tummies digesting all those vegetables like finely-tuned Rolls Royce engines, anything more seemed a tad unnecessary. Oh, the lamb. I forgot the lamb. How could I? A plate of rosy, succulent, tender cuts of leg (I think) in a sauce so light it seemed barely more than stock. It was lamb, and nothing else, and tasted exactly as it should. We wobbled somewhat as we walked to collect our chunky, white Copenhagen rental bikes thanks to the sommelier’s choice of wines. Natural wines taste of natural wines to me – a little funky (well, often more than a little) and sometimes with more farmyard tang that is welcome. We had a chardonnay, a chenin blanc and actually quite a nice pinot noir (for the lamb, of course). I missed the elegance and subtley the wines would yield if traditionally made. Still, with food that tastes of its ingredients with minimal fiddling, maybe it’s unfair to argue with wines that do the same. And don’t let my snootiness deter you. 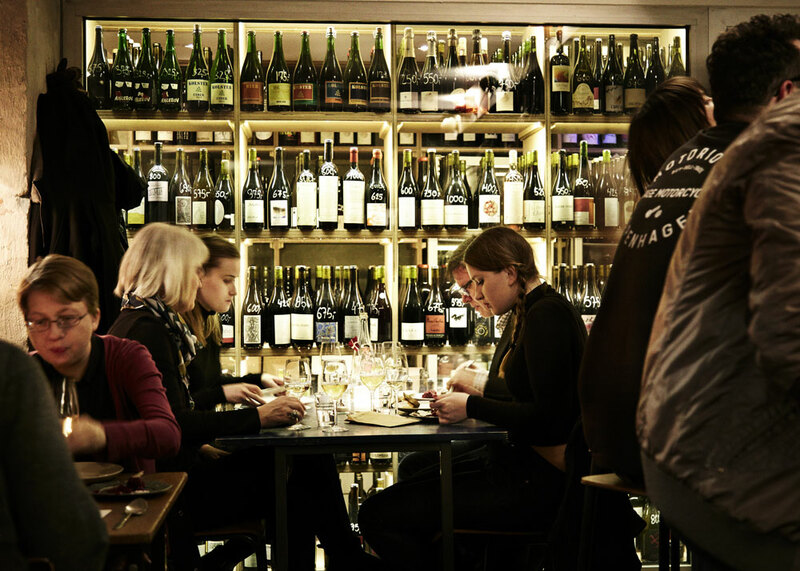 Manfreds is all that’s good about Copenhagen’s dining scene, so if you can, go!